I have a 1991 Camaro Rs 3.1L. 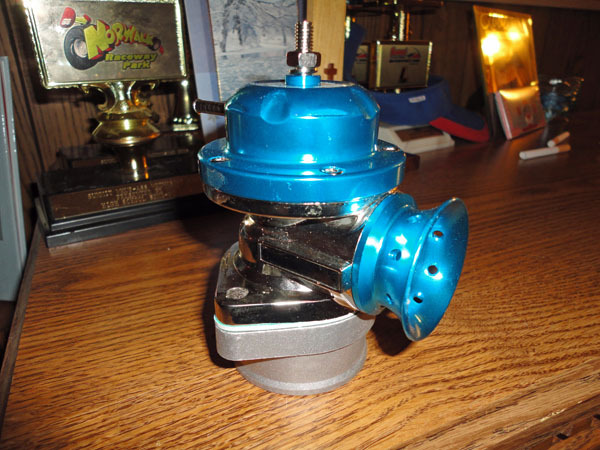 I am currently building a very cheep turbo set up. I have a way to small turbo but since this motor has a measly 140Hp stock Im trying to get up over 200Hp with this set up which i think can be done. 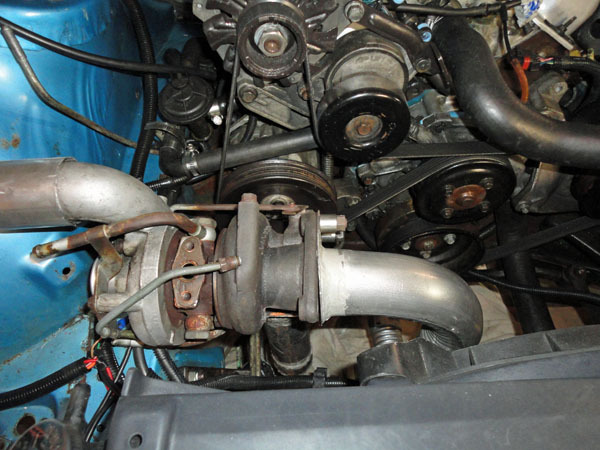 I know this turbo is gonna run out of steam quick but its a good learning experience. Id be happy with 200-220+ Hp anyday on this motor!! The car has a 260 adv dur. cam that i recently put in, I heavly ported and polished the heads and made up a good tune for it. I burn chips with moates stuff, and datalog. 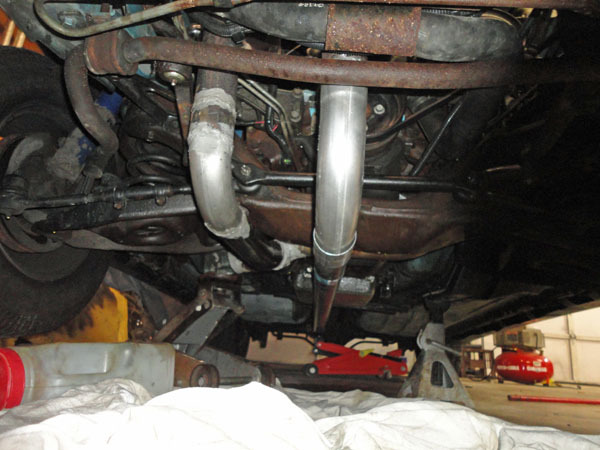 I have started piping the turbo up and have finished the exhaust routing and now have to finish up the welds for that section, also need to tie in internal wastgate, and controle. Then start the oil lines, then charge pipe(IC) then off to tuning. Here are a few pictures of the build so far. Obvously alot of stuff isnt welded up all the way or bolted up yet. Ive been playing with this stuff for a week or so, when I have time. Last edited by fasteddi; 01-24-2012 at 06:00 PM. 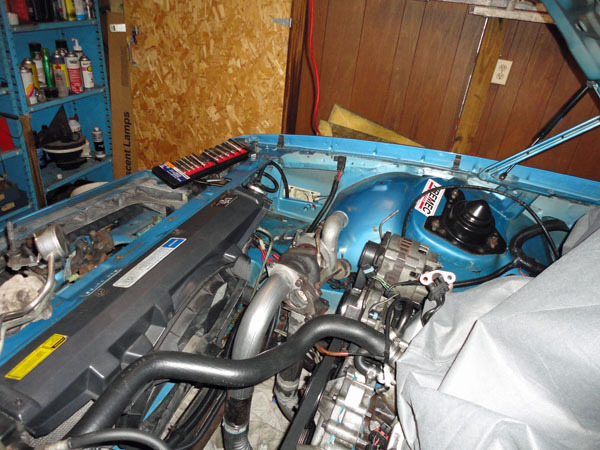 New to site, cheep cheep turbo build! 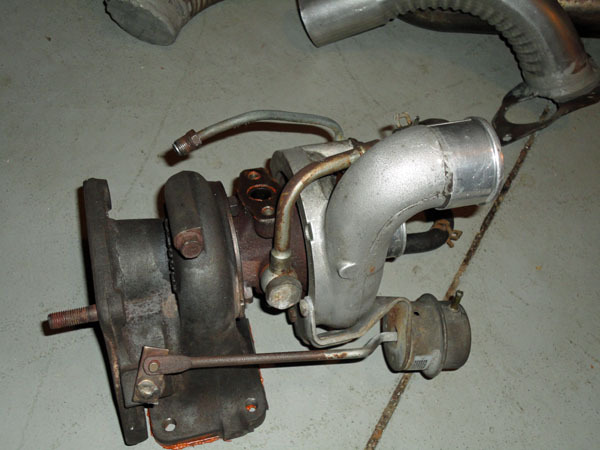 Newbe: Jeep 2.5 Turbo Help!